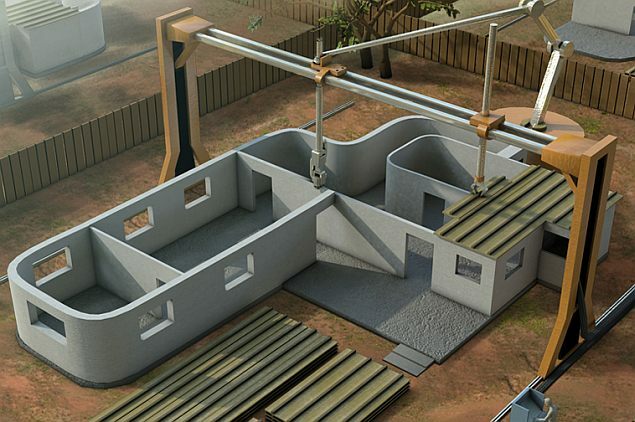 Your next home may come out of a 3-D printer and cost about 1/3 of what you’d pay today. By now you’ve probably read all the buzz surrounding 3-D printing. Designers and engineers are creating 3-D printed inventions like body parts, prosthetics, and custom surgical kits adapted to the patient. I toured the factory of a potential client who makes kits used by surgeons for spinal surgery. They showed me prototypes for surgical kits that sell for five figures each. In the near future, these will be custom designed and printed for the patient and the type of surgery. I knew 3D printing had arrived even before I stumbled into a 3-D print shop at the mall. If you read this blog you know malls give me hives, so it’s very rare I step into one. But there I was, on my way to a restaurant, when I saw shop windows full of 3-D printers in action. Printing out all kinds of prototypes for new products and dreams which users had paid hundreds of dollars to rent the machine to print out their invention. So I’d seen my share of small 3-D printers printing small things but then I stumbled upon the 3-D printed house. There is a lot of innovation going on in jumbo scale 3-D printing. 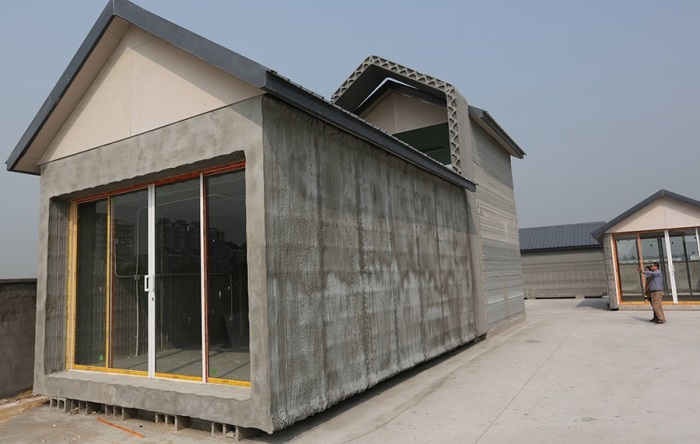 This factory in China can print out 10 houses a day out of poured concrete mortar. The finished product is the bit rough around the edges, literally. It’s a bit like that old concrete block garage out behind your grandfather’s house. When you have housing demands like China does, this may be a solid, affordable solution at about $5000 US . The next generation of these is already in the works. Students at the University of South Carolina are working on a portable jobsite printer capable of creating buildings on site. Because the buildings are 3-D printed, the insides of the concrete walls can be hollow or custom configured with spaces for windows, electrical, and plumbing. University of South Carolina contour printer. I think it safe to say that this is still a few years off and the early job site versions of it will most likely be expensive. and the plans are free and open source. They can be downloaded and adapted to your specific needs. The website allows you to interact with community members and find architects, developers, and suppliers that have industrial digital printers that can print the structure as a kit. The parts are precision cut from a standard sheet material such as plywood, OSB (Oriented strand board) using something called a CNC machine. CNC stands for Computer Numerical Control. Geeks and acronyms, you’ve got to love it. Your new age digital printing factory then flat packs a whole kit into a single steel container and ships it to the jobsite. If you get really creative, the container can even become part of the final structure. Or you can opt to have it assembled in the factory and shipped to the site on a 8 foot wide trailer. All the parts are numbered and can be identified on site. Even the mallets used to assemble the pieces are printed out and supplied with the framing. 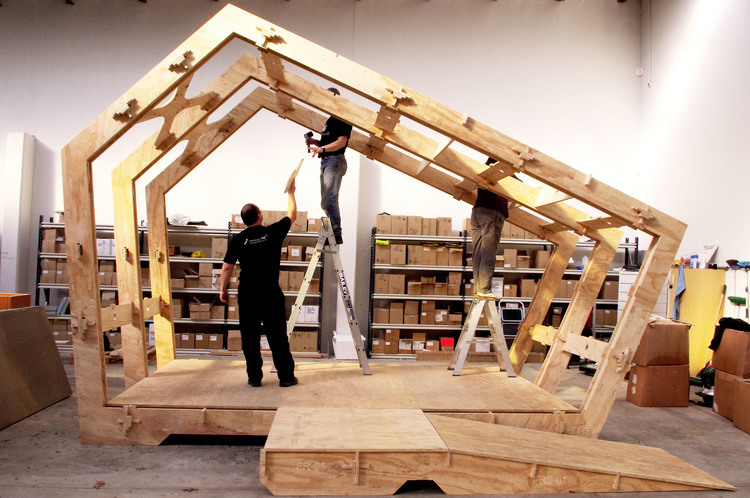 Here’s part of a hurricane proof structure that was printed and assembled by some creative folks in New Zealand. The parts are built to work together perfectly versus traditional building materials and framing methods. Take a look at this group of students with limited building skills putting one together. So what’s all this going to cost? Small livable structures like a one bedroom home will be in the $35,000 range. Yes, that’s for an entire house, delivered and assembled. So start planning now to print yourself out a more frugal lifestyle. If you’re interested, shoot me a comment below and I can point you in the right direction.